Butternut squash becomes deliciously sweet once roasted, making a unique ingredient in this dessert recipe. 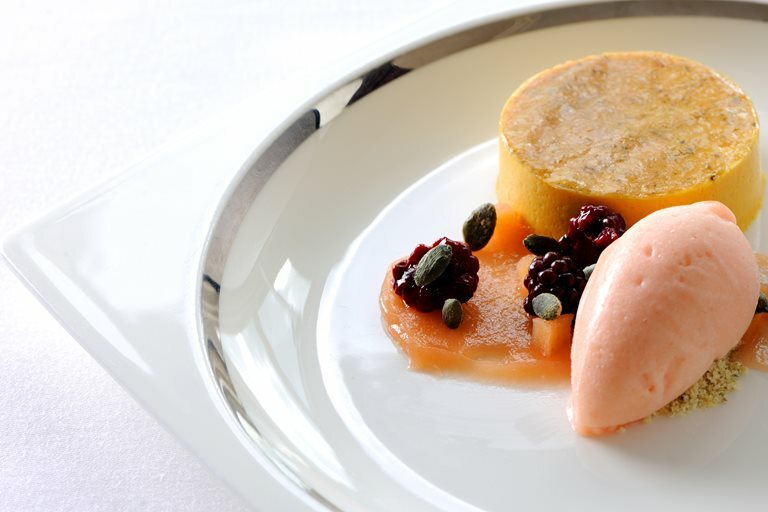 This brilliant bavarois recipe by Robert Thompson pairs the sweet squash with quince sorbet and poached blackberries, creating an incomparable dessert your guests will be talking about long afterwards. For the quince purée, peel the quince and cut around the core. Dice and place in a pan with the white wine, water and sugar. Boil then simmer until soft and slightly pink in colour. Strain off the quince but keep the liquor. Blend until smooth.